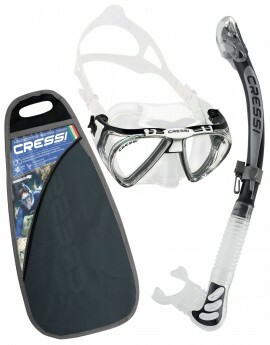 Cressi Agua Bag Snorkel Set includes the Cressi Onda Mask, the Mexico Snorkel and the Agua Fins all in a Cressi net bag. 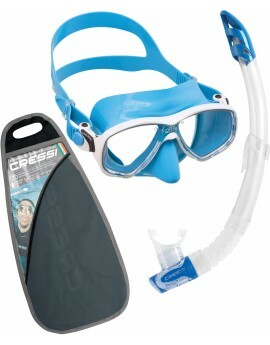 Cressi Big Eyes Evolution Mask this revolutionary mask is made from High Seal, a new material that offers extraordinary and unprecedented comfort. 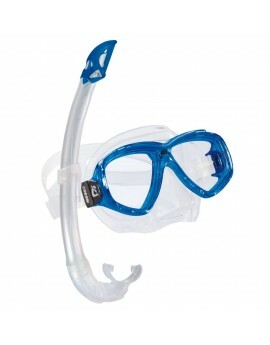 Alpha Ultra Dry snorkel allows users to take every breath with confidence and focus on the reef below. 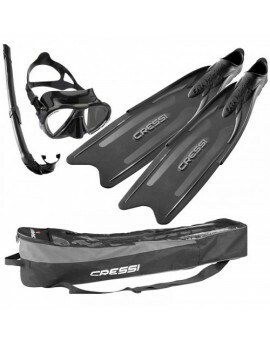 De Cressi Pro Star Bag Snorkelset deze stijve snorkelset bestaat uit een Cresi Matrix duikmasker, een Cressi Gamma Snorkel met waterloos ventiel en een paar Cressi Pro Star stugge vinnen die zijn gemaakt van thermo harder materiaal een geven maximale voortstuwing kracht. 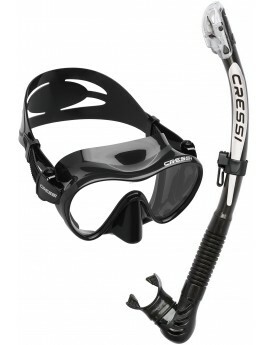 Cressi Calibro Cressi’s next generation diving masks are all equipped with the IDF-INTEGRATED DUAL FRAME TECHNOLOGY which offers exceptional field of view, and the new Calibro is no exception. 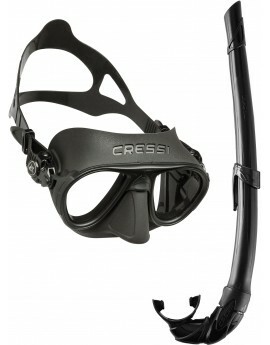 Cressi Corsica snorkel is a highly technical snorkel designed specifically for deep freediving and spearfishing. 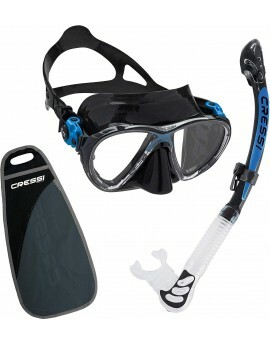 The Cressi Penta this mask has four lenses and also introduces to this sector all the exceptional characteristics of the Matrix and the Lince. 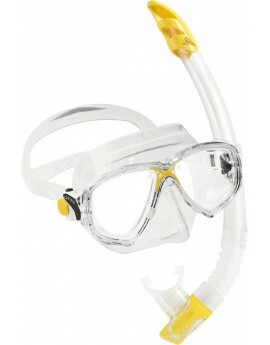 Alpha Ultra Dry snorkel allows users to take every breath with confidence and focus on the reef below. 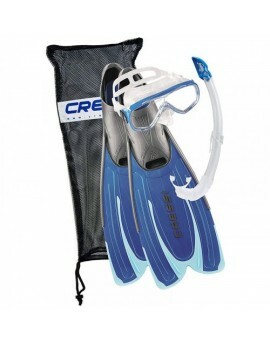 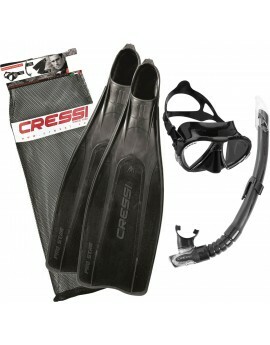 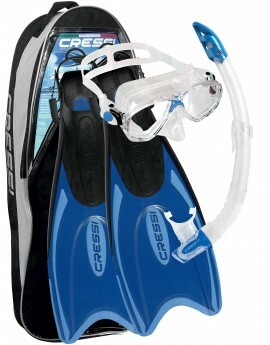 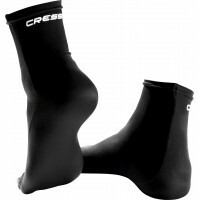 The Cressi Marea VIP Snorkelset is the perfect solution for average snorkelers and scuba divers. 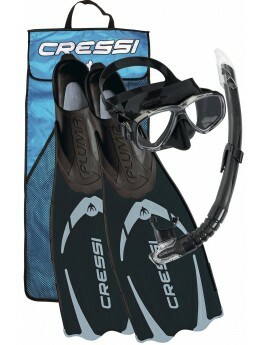 The Cressi Marea VIP Colorama Snorkelset is the perfect solution for average snorkelers and scuba divers.